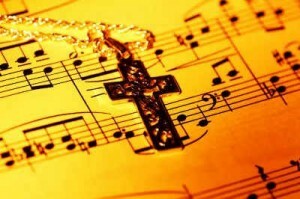 Is there a spiritual force behind Christian music? Can we feel the presence of God when listening to Christian music? Can we connect with God in a meaningful, deeper level when listening to Christian music? Absolutely! Music is kind of like Velcro; it is a means of connectivity between us and God. It makes a connection between believers also. Let’s look and see how powerful music is. Music is a kind of Velcro; it is a means of connectivity between us and God. This band is out on the front lines fighting for issues like abortion. In their song, “Condemned”, they talk about this issue from the baby in the womb. The chorus says, “Condemned. Condemned to anonymity. Trapped by obscurity. Condemned. Condemned to anonymity. Sentenced to neglect.” The first verse says, “Condemned. Without given a chance to speak. Without acknowledgment they’re made less than human.” This song really hits me hard because I have always been one to root for the underdog. These poor babies have no voice. Unless we stand up for them, they have no one. There are many songs out there that showcase God’s love for us. “Disciple” is a band that has touched my heart deeply with a song called, “After the World is no More.” The first verse ends with God asking, “Was I there when the rains were flooding you off of your feet? Those were My tears falling down for you.” Then in the chorus God says, “I’m the One that you’ve been looking for. I’m the One that you’ve been waiting for. I’ve had My eyes on you ever since you were born. I will love you after the rain falls down. I will love you after the sun goes out. I’ll have My eyes on you after the world is no more.” I have never made it through this song without a few tears, which is why I have chosen it as the video below for you to watch. Our God is so good! Music is an awesome way for us to experience God and to keep focused on the important things of life, the things that God cares about. If you have any songs that have impacted you, please feel free to share. It isn’t the style of music that is important, but the content in it. God will always be praised as long as the lyrics reflect on Godly principles. God Bless!! I totally agree that Christian music is powerful. I have a ritual of listening to Christian music before I go to sleep, so will be in a mood of worship when I sleep. One of my favorite songs is “Counting on God” – “Joy unstoppable that won’t go away, just enough strength to live for today, so I won’t be afraid of what tomorrow might bring, my faith is on solid rock, I’m counting on God!” Thanks for the great article brother! Awesome article, I’m also very into heavy Christian music. That was really cool that you put those bands up, really great bands. I actually want to share a band that has impacted me in a lot of ways. I’m not sure if you have heard of the band The Gun Show, but this band is truly fantastic, everything from the lyrics to the music itself is just amazing, and really has transformed me as a person and how I look at things. The whole album is beautiful and they have songs in their that I can just praise and worship Jesus too, its so awesome! Thank you Christian. I have always felt strongly about the power of Christian metal music. The lyrics can be so strong and Biblical when paired with the amazing guitar and drum techniques. I have never heard of “The Gun Show”, but I will definitely check them out. God Bless you brother. I listen to Christian music 24/7 in my house. I have WIBI on constantly, even when we’re gone from the house (AND it plays in the truck or SUV when we’re out). I feel it edifying my spirit when I’m consciously listening and even when I’m passively ‘listening’. But I know it also edifies the very air… or the atmosphere within our home. So yeah…. it’s ALWAYS on! Amen Joanne! Music really connects us on an emotional level with God. I love that you listen to it 24/7! It does even edify the air. Even the rocks will cry out if we don’t. Thank you so much! I thank you for your input. “Counting on God” has some wonderful words in it. And as believers, we can be rest assured that we can count on the Father always. I have never thought of being in a worshipful state of sleeping, but I will definitely try it. God bless! This reply was for Hwee. LOL! Im not sure how it got down here! You’re so correct Derek, music is VERY emotional which is THE reason we need to be cautious about what type we listen to & why parents need to have a say in what their kids listen to. You know that saying…’You are what you eat.’ Well I’d add that…. ‘You ARE what you LISTEN to’ (in many respects). I’m 64 and over all my many years I’ve listened to the ‘hardest’ of rock, the ‘twangiest’ of country, the most ‘calming’ of classical and everything in between. And now I find music that lifts up Jesus & edifies my spirit simply brings a peace to my body and soul that NO OTHER type of music can! Basically I’m just not INTERESTED in any other genre. I agree Joanne. I am very involved with what my children listen to. I want Jesus to be in the music they hear. Any music that has Christ as the foundation is always alright, whether it is gospel, lite rock, pop or heavy metal. The reason is the same. When Christ is praised, it is always great music! I too listen to Christian Metal/Rock and yes I do believe that the music does draw you nearer to God. God gave these bands the talents they have for a reason and something tells me its not just to entertain but to also strengthen your bond with God and his teachings. also might I recommend a Band named Mortification its a good group out of Australia that I have seen in Concert one of the last times they came stateside. I was thoroughly impressed with there ability to pass the message on. I love Mortification! One of my favorites is a song called “Brutal Warfare”. Its one of their older ones, it is very heavy and has a great message of putting on the armor of God. I haven’t heard from anyone in a while that likes this band. It is refreshing to hear that you like them. Their singer has a great story of personal struggle with leukemia in 1997. He made a complete recovery by the grace of God, and titled the next album “Triumph of Mercy” because God completely healed him. What a great witness and testimony! My favorite song on that album is called “influence”. It talks about not playing in a band for fame but always yearning for salvation from Christ. God bless you Michael! And I like what I’ve heard from Mortification and Living Sacrifice. Thank you for your encouragement! I love the bands you posted. Living Sacrifice is really the band that kept me on the right track from late highschool into college. Their album “The Hammering Process” is probably my favorite. I also like the bands The Devil Wears Prada and The Showdown. God bless you and thank you for stopping by WCWTK. Always feel free to come by and check out our articles. God is good! Derek, this is so true. There is indeed so much power in worship music for it makes me fall down on my face and cry out and tears flow from the great blessings that He has bestowed upon a train wreck like me. I love Kutless’ Strong Tower, and “All Fall Down” which is what I do, for He is “Holy, Holy, Holy” and I am not! Blessings brother. Spot on. Thank you Jack. I’m grateful that God gave us the amazing ability to connect with Him through music. I also love the song “Strong Tower”. It is one of so many that allow us to praise our Father. One of my favorites is “You Love Me Anyway” by the Sidewalk Prophets. It always brings a tear to my eye when they get to the bridge near the end of the song. God bless you brother. Kutless is one my favorite groups as well as Casting Crowns and Natalie Grant. You have good taste in music my friend! Thank you for your warm welcome! I came upon this site through one of the Facebook pages I follow (I think it may have been We Walk With Jesus or God Bless You… not sure, though). They had posted several excerpts from articles on WCWTK, with an a link at the bottom to check out the full article. I will admit, I was hesitant to visit for a while. I have had some bad experiences in the past when dealing with other Christians online. I honestly felt like a lot of blog sites were essentially just condemning anyone who didn’t fit into the little mold the writer(s) felt a Christian should fit into. I especially feel like I get the finger leveled at me a lot, because I am honestly what you would call a geek, and I feel like a lot of Christians (or at least the vocal ones) look down upon “geeky” hobbies. You can imagine how surprised I was when I finally decided to check out WCWTK! Anyway, you guys definitely seem focused on what I consider to be the “vitals” of Christianity, and I really enjoy coming here. Thank you all for everything you do here, and please keep it up! As Christians, we’re supposed to lift up our brothers and sisters in Christ, not tear them down, and I definitely feel like you guys have the lifting up thing secured! This site has been refreshing and encouraging, and I finally feel like I have found an online Christian community (so to speak) where I can finally feel comfortable. Thank you again for all that you do! God bless you all! Thank you for all of your kind words Robert. They are truly appreciated. I just want to share about Christ as often as possible. I actually used to listen Nevermore also, and I agree their music is not edifying at all. There is power in music that seeks to glorify God. By the way, I checked out Theocracy!! Amazing stuff!! I love new music and this band loves Jesus and plays awesome songs! God Bless! Glad to hear you enjoyed Theocracy! I have been hooked on these guys since I first heard about them. I was really disappointed when I figured out what some of Nevermore’s songs were about. I knew they had a large political message, but I didn’t really catch a lot of the religious comments at first. I mean, I heard Believe in Nothing, but I brushed it off. Then I started reading what songs like Narcosynthesis and Born were about, and it really made me uneasy. Anyway, there is one question I wanted to ask you about: What do you think about ‘the horns’? As far as I can tell, they have no evil background, but some Christians seem to think that they are a sign of the devil. I’ve always just attributed it as a sign that I’m having fun and enjoying the music. I’ve even seen some Christian metal bands use them. Still, I like gathering opinions, especially because I don’t want to be inadvertently doing something that God would not appreciate. Funny that you should make this post Derek. On Sunday 09/09/12 I was at a Music retreat with a theological study group called EFM, Education For Ministry, I went into the retreat thinking this is going to nice but there will probably not be much substance, you know, I was thinking we would be sitting around singing Koombya, was I ever wrong!! The retreat only lasted six hours, it could’ve gone on for two days, I had never fully realized the power of music. There were eight of us in attendance, each person brought a five minute piece of music, any music we chose to bring, then we introduced the piece and what we thought it meant to us. What I was not ready for was the divergence of effects each piece had on people, but focusing in on God and listening you begin to get a glimmer of understanding of what the music REALLY says and then you begin to understand what the composer was trying to relate to. Christian music is my favorite genre now, other than classical, primarily because Christian music alludes to hope and is for the most part a very positive message. In todays world there is more than enough negativity going around, why would anyone want to bury themselves in music that vexates the spirit? One of my favorite Christian worship songs is “Shine Jesus, Shine”, when that is playing I attempt to sing along, I am a fifty six year old male and I could’nt carry a note in a bucket, but I do bellow out the words, of course my cats can’t get away fast enough! To answer the question “Is there power in Christian music?”, you bet there is, a power to educate and a power to bring joy to our souls. Nice post Derek, thank you. Thank you for your kind words Chris. Music is one gateway that we can connect to God. We can cry out to Him or praise Him and it always brings us closer to our Father. The older I get, the stronger my passion is for Christian music. I can’t get enough of it. I like what you said at the end. Music is “a power to educate and a power to bring joy to our souls.” Well said brother. That is a good question Robert. The ‘horns’ did signify Satan when they first were started. Now a days, they don’t have the same meaning. Now they mean that the band that is playing rocks. I personally don’t care for them because of what they were intended to mean originally. I usually just raise my “closed fist” in the air. It sends the same message that the ‘horns’ do today. That’s a good point. Another substitute that I thought of is to copy something I once saw in an anime (Japanese animation… I did mention that I’m a geek). The show was about a group of guys trying to make it big as a rock band, and at one point they showed people raising their hands and only extending their index fingers. I’m not sure if this was something done for the show, or if this is a Japanese thing, but it is certainly an alternative to the horns. I, personally, think that I’ll just go with the closed fist when I feel like putting something in the air (or an open palm if the band happens to play a praise song). These days my arm feels like it gets tired if I hold it up for too long, anyway, so I don’t think throwing my hand into the air will be nearly as prevalent as it was in years past. Thanks for your insight, Derek! I have really enjoyed our conversation. God bless you, brother! The index finger is a great idea when you think about who you are pointing to! It can be a great expression of giving God the praise. I use this also. I have enjoyed our conversation as well Robert. You have been a blessing to me. God bless you too brother! I have to say I’ve never been to a rock concert. I grew up during the 60’s but lived a fairly strict, sheltered life. When I finally got out on my own concerts just weren’t my thing even though I was very into rock. Using that sign hasn’t been a problem for me since it was never part of my ‘expression’. Having said that I would agree with you. From what I’ve seen now days it would seem to be mostly a sign of approval or like you said, a was to indicate ‘a band rocks’. But it WAS originated as a sign of the devil and it still IS… depending on the genre of music. Scripture tells Christians to ‘Shun (or abstain) the appearance of evil’ (1 Thes 5:22). Even though this sign may only mean ‘Yeah…they ROCK!’ to Christians (and probably most rockers in general), the symbolism is still the devils horns and I would encourage every Christian who goes to Christian concerts to find a new way to say ‘They rock!’. Thank you for your wisdom in this Joanne. I agree with you which is why I also refrain from using the ‘horns’ because of their original meaning. Excellent scripture reference too. It really shows us how we should act in all circumstances. God Bless! I think the suggestion of just using the index finger is great by the way. I mean it DOES point to our future and eternal home after all! In fact the more I think about it the more I’m SURE it should be used! Those of you and your friends who attend Christian concerts (rock & otherwise) might want to start that ‘trend’ and encourage everyone to do the same. How neat if it really caught on! Infact the history of rock and metal rock is demonic and its the beats not lyrics that chant for demons.. There is no way this is satanic. This band is asking God to lay the demons to rest. There is a lot of power in music, whether it is gospel, rap, country or metal. It is what you do with it that matters. You can choose to make any kind of music satanic if you want or you can decide to make any kind of music a vessel to glorify God. Thank you again for your thoughts. May God bless you! Hello Hassan. With apologies to Derek, since this is his article, your statement that there isn’t such a thing as Christian rock or Christian metal is an subjective statement. The history of rock and metal rock has nothing to do with worship music just as atheism has nothing to do with atheistic, communist nations slaughtering millions. We can not have guilt by association. From what I read in the Bible we are commanded to make a “joyful noise” and this will certainly differ from one generation to the next but it is God Whom we worship in song and praise and God accepts it and that is all that matters. Should we hold only to organ music as some churches believe? Or just piano? In the early church they had no music instruments so are we to be accapello (with no musical instruments)? You said that you “felt demons being called from ‘Christian rock'”. What a person feels is extra-biblical and not reliable as truth as the Word of God is, the Bible. I hope you will not judge those who believe in Christian music of all types for in other parts of the world, there are drums, some play flutes, some have no instruments, some play guitar, some play…..etc. I believe if you read Psalm 66 you might see the proper standards of worship music….it is “unto the Lord” and as long as it is a “joyful noise” to us, that is all that matters. What that “noise” is, is of less importance than to WHO that noise is sent to. Make sense sir? Previous post: What Does The Bible Say About Relationships? Is One More Important Than Another?